The mighty muffin tin is useful for more than just baked goods. It's the perfect tool for freezing multiple single portions of soup at once. 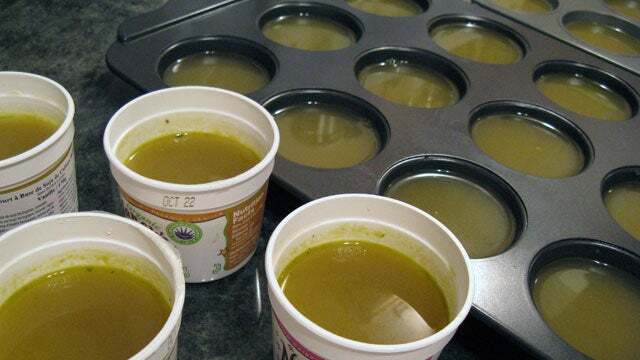 It's the same concept of freezing batches of broth, only you save leftover soup that's easy to take to work or heat up in the morning for your kid's lunch. You can even customised each portion to individual tastes.